The universe abhors a vacuum. 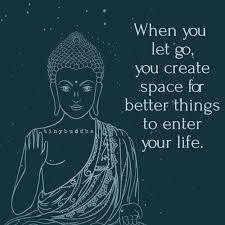 If there is space, then that will create room for what it is that you’re trying to attract into your life as de-cluttering sends your unconscious a message that you are ready for new things. 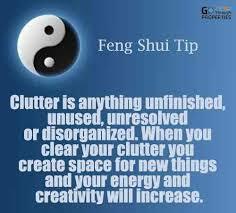 Clear clutter and create space in order to make room for new things that you desire in your life. This can be physical space, digital space, mental space or emotional space or even business. Wherever there’s clutter, it’s just clogging up space that’s making it less than possible for things to come into your life. In particular, declutter areas where you’re looking to have something changed. Not only does cleaning out physical space give you more room but also is a major stress reliever and gives a sense of calm. Start by just cleaning your desk, a junk drawer, or a closet. Once you get started, you’ll notice that you want to keep going. It’s very therapeutic! Clearing out your digital life. Your computer and mobile are probably stuffed full of unused documents and Apps. Having too much ‘stuff’ on your computer also makes it harder to find important files, particularly when you need them urgently. You will find many duplicate files for sure which will confuse you as to which one is latest and is to be retained. Clean out your email inbox. Do you really have time to read all those newsletters? To create mental space, is to do a “brain dump”. You’ll be shocked and amazed of how good it feels to finally free up that space in your mind. Now you don’t have to worry about all this stuff because you now have it down on paper! If you’d like, you can now categorize the items into personal or business. You should repeat this brain dump practice once every 3 months. This one is a bit tougher, however you need to protect your emotional well-being. Break free of any energy leeches, naysayers or people who aren’t supporting you. Schedule time to re-energize yourself from work and even family. To be your best for your family and for your clients, you need to be at your best for yourself. De-clutter your business by focussing what is part of your core business and letting go the noncore parts that was seemed necessity at some of time in the past. Let these be outsourced or a simple polite no. Go ahead and take an hour each day and do something that you enjoy doing. Go for a walk, read a book or work on your hobby. As soon as you start opening up these spaces you’ll find that you’ll have more space to receive the things that you’ve been asking for. Be it friendship, clients or even money. Why not taste some happiness? 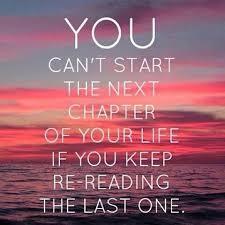 Go ahead and de-clutter your life!!! !